Very close, tight, and tactically challenging racing was the attraction for the largest spectator fleet the AC World Series has enjoyed to date on Saturday afternoon. 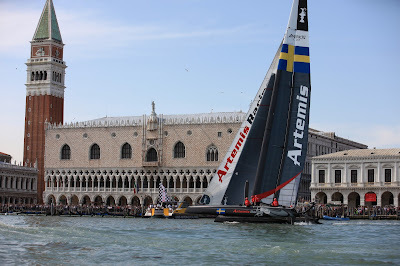 The Venetian crowds lined the waterfront and took to the Grand Canal by the thousands to cheer on the AC45 crews. Winds were light, but the race course was very short and demanding on the teams. Luna Rossa Swordfish pleased the local crowds by winning the first fleet race and momentarily grabbing the overall lead in the regatta. 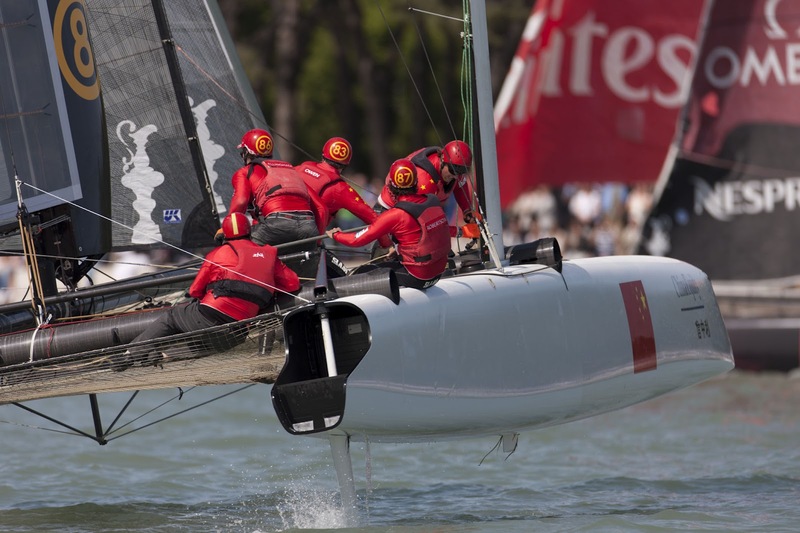 But the early heroes fell to the back of the fleet in race two, allowing Loick Peyron’s Energy Team to retain overall leadership heading into Sunday’s final race. 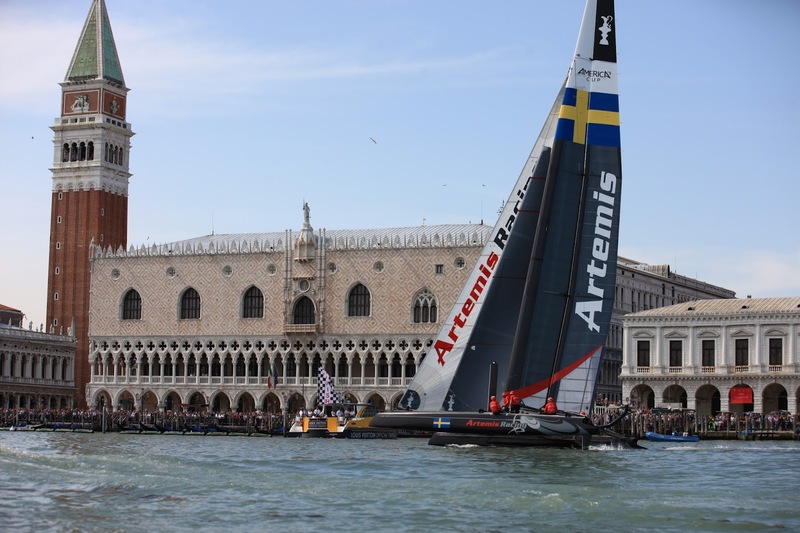 Artemis Racing had a very strong showing on Saturday, with skipper Terry Hutchinson grinding out a fifth place finish in the first contest before winning the second. Phil Robertson, at 25 the youngest skipper in the fleet, had a good day for China Team, with fourth and eighth place finishes. 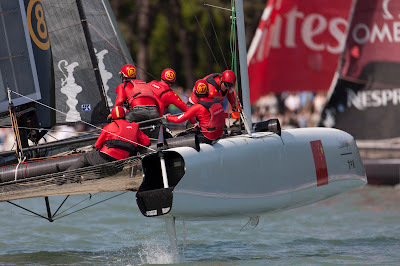 It was the first time in the event China Team was able to hold a good early position through to the race finish. And the day could have been better as Robertson and crew were in second place early in the second contest, before falling back to eighth. 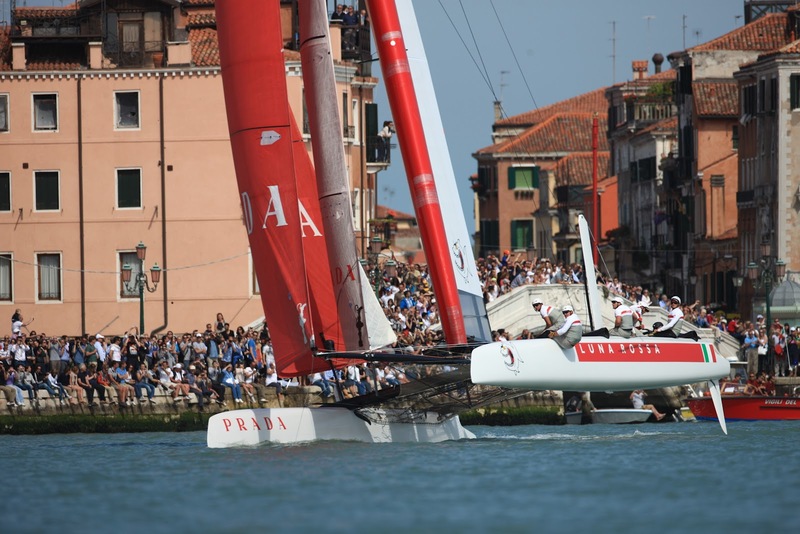 Later in the afternoon, Artemis Racing and Luna Rossa - Piranha advanced to the Final of the Match Racing Championship. Both teams are now in position to ‘win the double’ if they can capture both the Fleet and Match Racing Championships on Sunday. 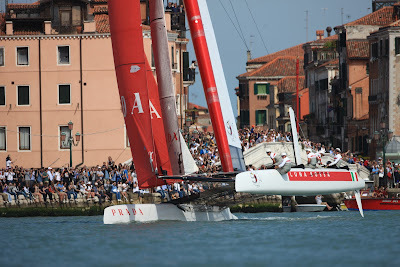 The AC500 Speed Trials are scheduled for 1350 CEST. 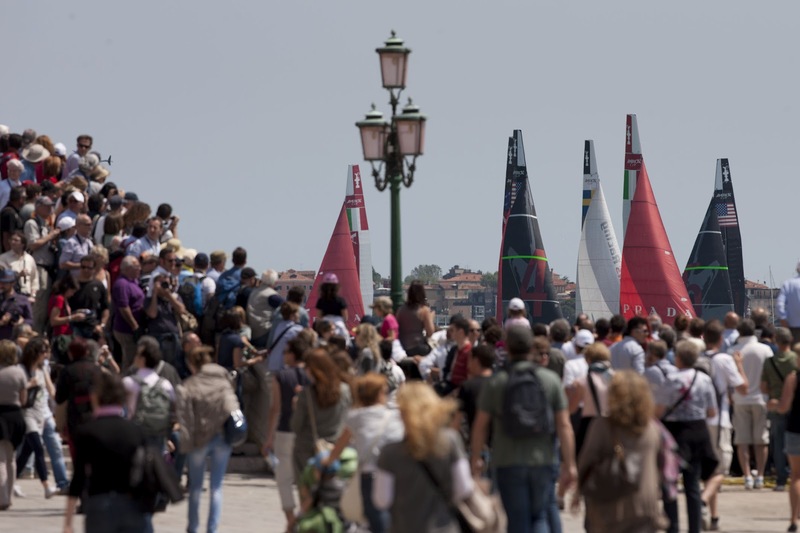 Racing starts at 1440 CEST on Sunday with the Match Racing Final – a one race duel for the title, followed by the seventh and final fleet race (1510 CEST), where the winner earns a whopping 30 points, enough for anyone in the top seven in the standings to have a chance of winning the title. The losers of the Semi Final and Quarter Final matches have been assigned final finishing positions (3rd through 9th) in the Match Racing Championship as per the Sailing Instructions.